Jodi Saeland is a part-time KSL Meteorologist and full-time Mom of an 11-year-old daughter and 9-year-old son. Follow Jodi as she explores the trials and triumphs of skiing with your kids. 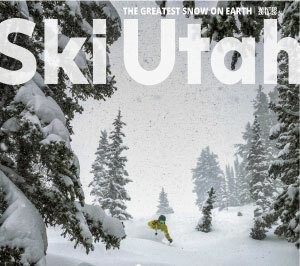 Gain practical real-world advice on how to pack, dress, communicate and ski with your kids on Utah's famous slopes. How to be a skier while having an avid, excited budding snowboarder! Snowshoeing in Utah and ice skating Solitude..fun for the kids! Family Owned Beaver Mountain Becomes A Family Favorite! Spring Skiing...Great For Parents And Kids! Reasons to be excited to be a 5th grade passport kid! 10 things NOT to pack on your ski vacation! The Greatest Family Resort You've Never Heard Of! Waiting for winter...the wait is nearly over! Ski tips for Grandpa-kids do the teaching!